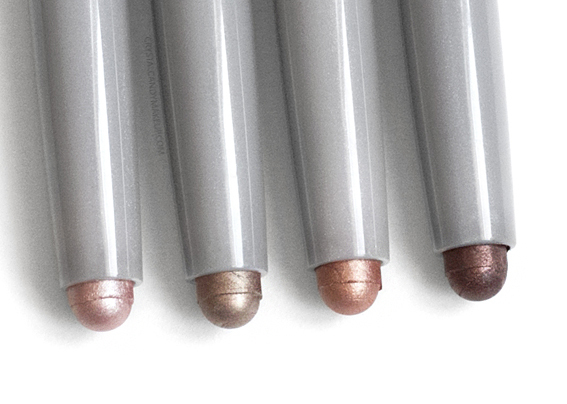 Today I'm reviewing TheBalm's Batter Up eyeshadow sticks! 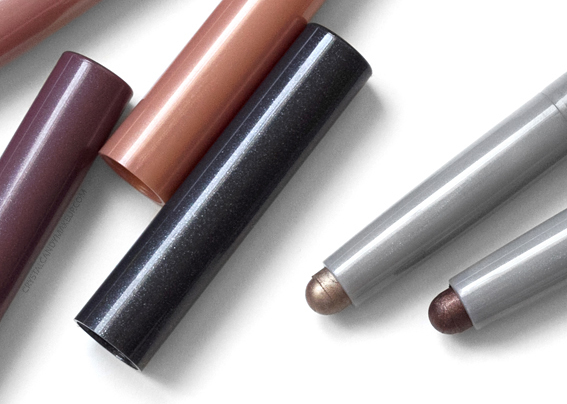 Available in 8 beautiful shades, these long-wearing cream eyeshadow sticks are supposed to be blendable and highly pigmented. 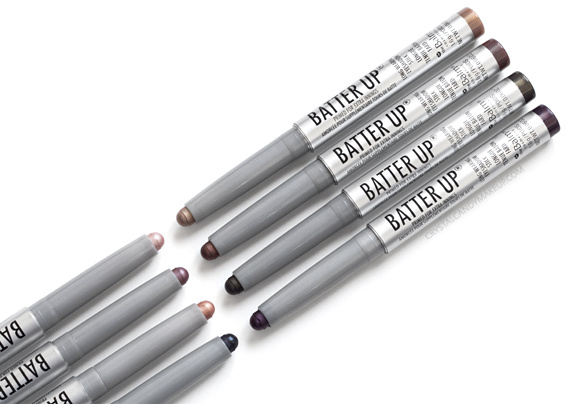 The Batter Up eyeshadow sticks are very creamy and have great color payoff. I like how the formula doesn't dry too fast, it gives me plenty of time to blend it with a brush or my fingertips. It's almost too blendable though, so it can blend into nothing if you aren't careful. Use your brush with a light hand! If you want an intense color payoff, I suggest to wait a minute or two before applying a second layer. Once these set, they stay on all day for me. I've tested them out without a primer and they didn't crease or fade! 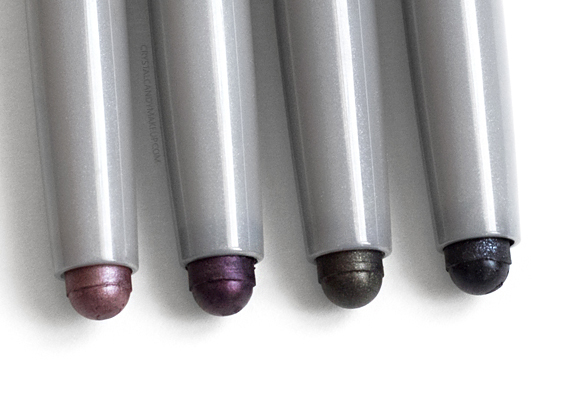 They are waterproof and smudgeproof too, even on my oily lids. Please note that I haven't worn the shades Slugger, Outfield and Night Game yet. So I don't know if they crease after a few hours. Out of all the shades, I love Shutout, Curveball and Dugout the most. 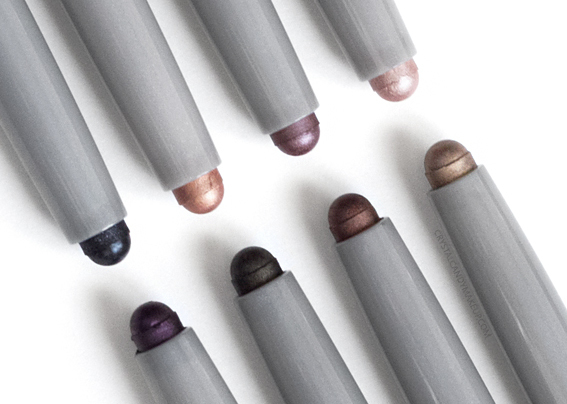 They are great colors for a quick and easy makeup look! I simply apply them all over my lids and blend with my fingers. 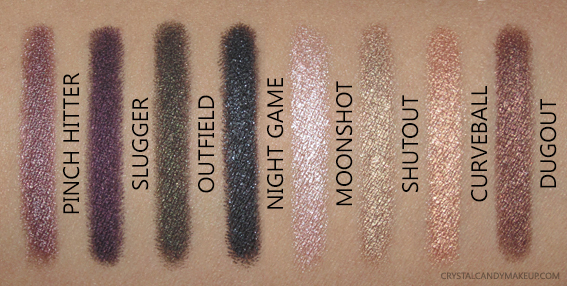 Oh and Moonshot is beautiful on the inner corners of the eyes! Left to right : Pinch Hitter, Slugger, Outfield and Night Game. Pinch Hitter is a mauve with a shimmery finish. 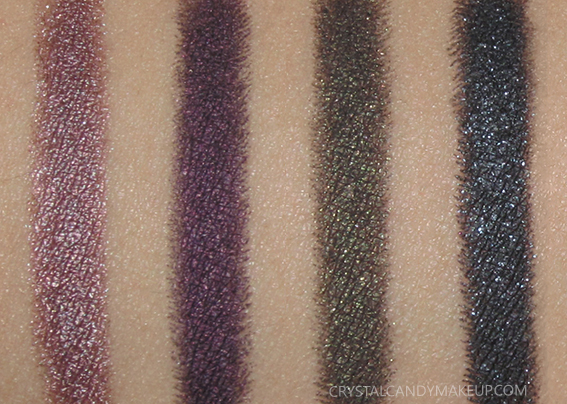 Slugger is a blackened purple with a slightly shimmery finish. Outfield is a deep khaki green with a shimmery finish. Night Game is a blackened navy blue with a shimmery and slightly sparkly finish. Left to right : Moonshot, Shutout, Curveball and Dugout. Moonshot is a light pink with a frosty finish. Shutout is a golden beige with a frosty finish. 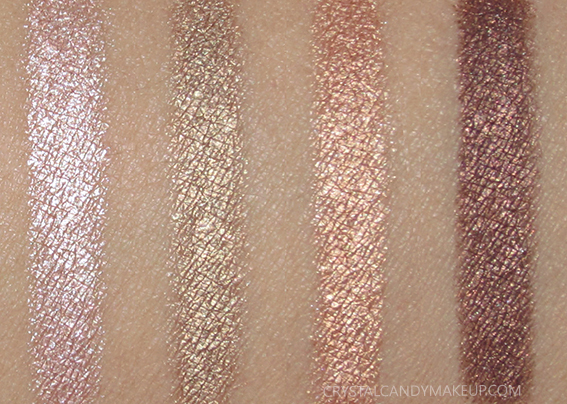 Curveball is a copper rose gold with a frosty finish. Dugout is a bronze brown with a shimmery finish. 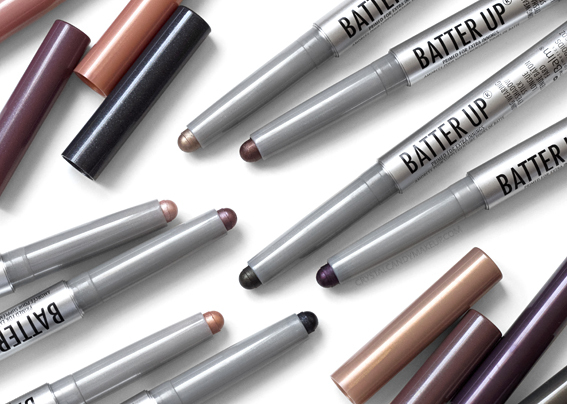 The TheBalm Batter Up Long Wearing Eyeshadow Sticks retail for $17 US for 1.6g.